According to the AfriForum Research Institute, statistics for 2016/17 show that 357 attacks and 74 farm murders were reported from 1 April 2016 to 31 March 2017, as stated by the Africa Check website. When seeing these statistics, one realise that this is a growing concern for South Africans and it urgently needs to be addressed. 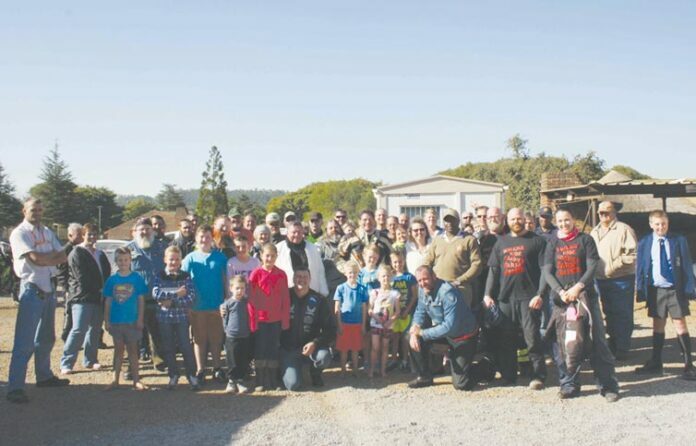 The BRAFM (Bikers Ride Against Farm Murders) organisation’s main objective is to unite bikers and biker clubs to join forces with other organisations nationwide, irrespective of race, backgrounds or religion, to honour the thousands of farmers that have been brutally murdered and also support the thousands of farmers who live in constant fear of being the next victims. This organisation’s mission is to assist farmers, their families and the farm workers after an attack with funeral costs, relocation and medical bills, where needed. The 911 Riders Against Farm Murders was initiated to create awareness publically of the importance of our farmers. 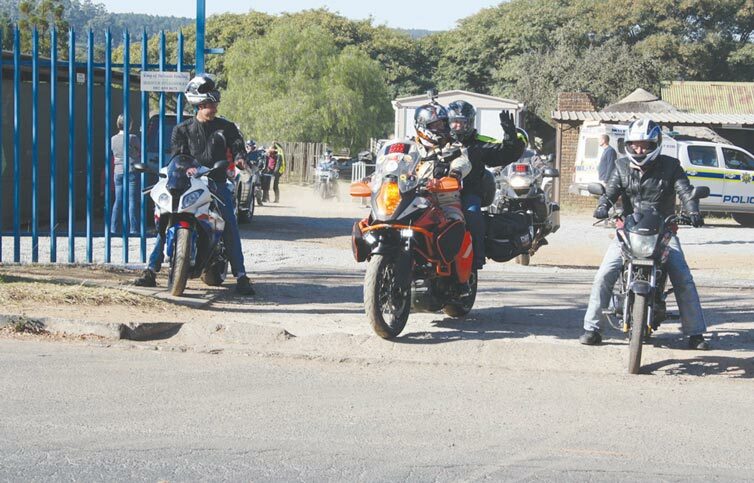 With close to 80 riders and a 1 400 km route throughout Mpumalanga, the team was very positive in reaching their goal and en route; they visited 24 SAPS offices and about 30 towns. They had the opportunity to meet farmers, communities and experienced genuine generosity as far as they went. 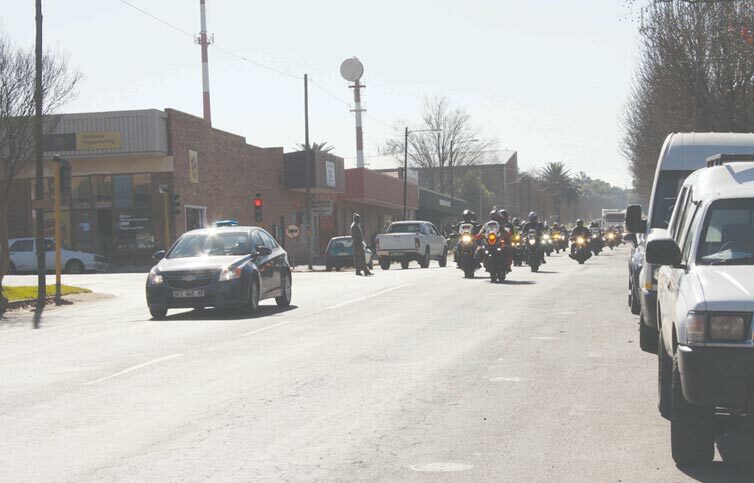 On Saturday, the 10th of June, the group of bikers passed through Mkhondo and gathered at the local SAPS office. 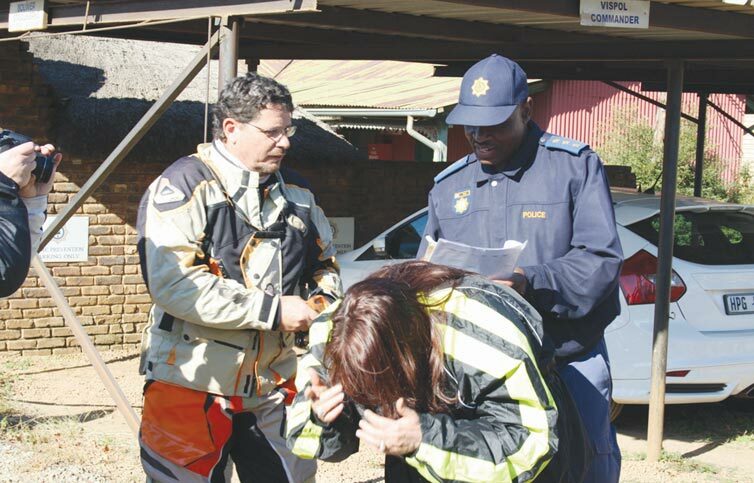 Pastor T.J Maré, from 911 Riders, personally handed over a memorandum to Captain Cele, at the local SAPS office. He added that he is thankful to say that he will be able to have a lovely dinner tonight, all thanks to a farmer. He expressed his gratitude to the farming community of Piet Retief for accommodating them, the local traffic officers for escorting them through the traffic and the local SAPS for accepting the memorandum. He then added that fighting crime is a very difficult task and they salute the SAPS officials for the hard work they do daily. They also plan to work in conjunction with security companies to provide beter security on all South African farms and to ensure the safety of our farmers as well as the country’s food security. Have you ever realised that without our precious farmers, there will be no food sources and we will soon be a country deprived with poverty and starvation? The organisation is planning to offer rewards for information on future farm attacks and the whereabouts of these attackers in order for the police to capture the criminals. For more information regarding this organisation, kindly phone 072 909 7273 or send them an e-mail at apacherider@ gmail.com Please remember that one farmer provides for approximately 1 500 people. One farmer is a “job creator”, and one farmer being killed, is one too many! Remember, no farmer, NO FOOD!